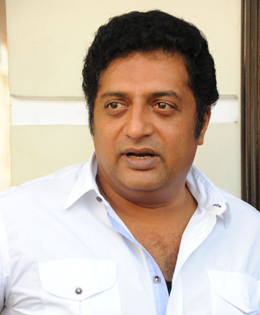 National Award winning actor Prakash Raj took on Prime Minister Narendra Modi for his silence in the murder of slain journalist Gauri Lankesh during a recent event. Immediately there were rumors that he would be returning his national award as a mark of protest. Prakash Raj later posted a video message on Twitter to clarify. “Well, I can just laugh at the headlines scrolling in the news channels that Prakash Raj has decided to give back his National Awards. I’m not such a fool to give back my national award. It has been given to me for my body of work, which I am very proud of. I’m anguished and hurt by the celebrations of the murder of Gauri Lankesh and Kalburgi. The silence of Prime Minister disturbed me a lot. As a citizen of India, I have a right to say that the silence of Prime Minister is chilling”, said Prakash Raj. Gauri Lankesh, a critic of right-wing ideology and a fierce advocate of secularism, was shot as she returned home early in September from her office in Bengaluru. The 55-year-old published a weekly paper. Nobody has been arrested yet; the killer is seen wearing a helmet on security cameras at her home. After her murder, some Twitter users abused her for her leftist ideals and celebrated her killing. PM Modi follows some of those accounts. Ms Lankesh's murder and the invective against her triggered national protests which alleged that her killing proves an intolerance of dissent.